Did you know that Facebook campaigns (aka “tabs” and “apps”) receive more mobile visitors than desktop visitors? In fact, according to recent data collected from ShortStack users, 52% of campaign visitors — including those who enter contests and other promotions — are coming from mobile devices. The current mobile trend cuts across digital media. Seeing as smartphone users habitually check media and social feeds between other tasks, it makes sense that mobile users are more likely to come across a Facebook campaign that is designed with mobile in mind. Combine this with the fact that as of January 2015, 526 million of Facebook’s monthly active users access the network solely from their mobile devices and there is no denying that mobile-readiness is essential to a brand’s social media marketing success. What does the mobile trend mean for businesses? When building a campaign, businesses and brands need to consider the entire mobile experience of their online audience. This includes everything from designing for a smaller screen to hosting campaigns where fans can access them no matter what kind of device they’re using. To do this, we’re going to take a look at the typical experience mobile users have when they come across a campaign that has been published to Facebook. Then we’re going to provide a solution to make mobile users’ experiences as seamless as possible. 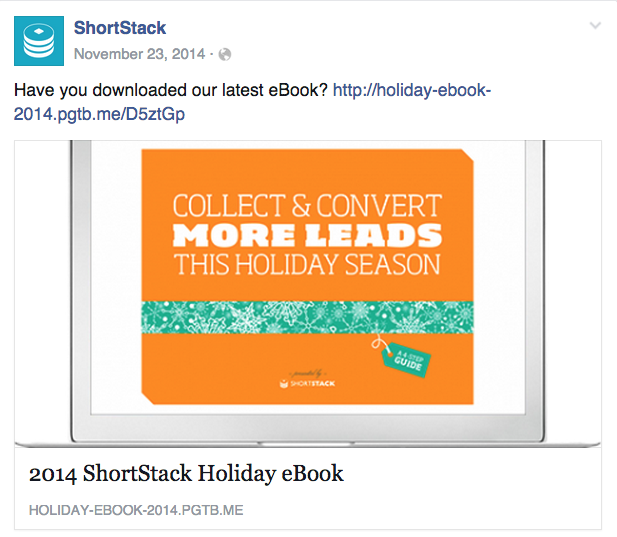 What happens when marketing campaigns are published to Facebook? 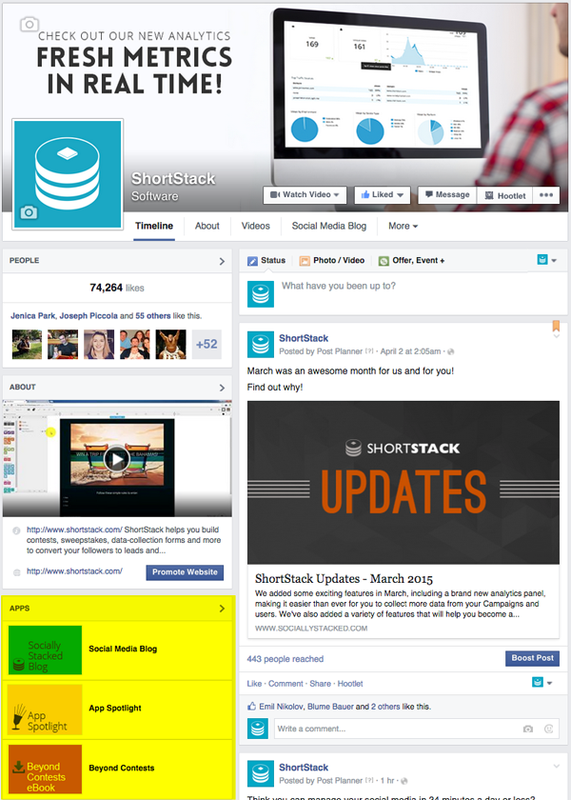 When you publish a Facebook campaign, you usually go through a third-party software such as ShortStack. The software allows you to build a campaign (promotion, giveaway, rss feed, email collection, etc.) that is 810 pixels wide. The campaign is then published to Facebook and appears on a business Page’s Timeline on the left-hand side. 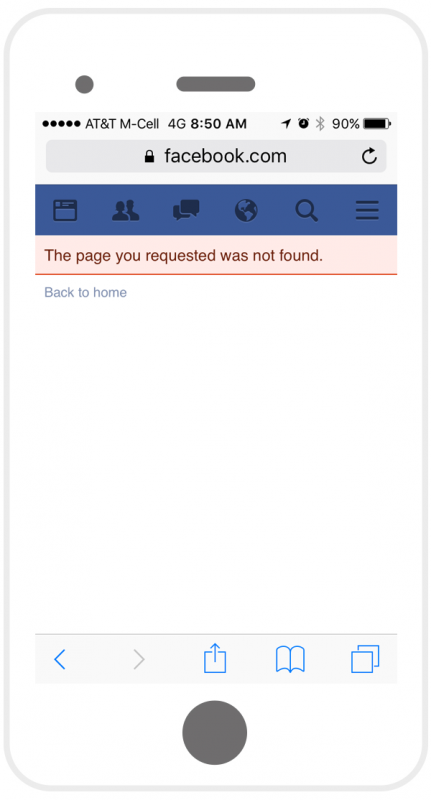 One important thing that businesses fail to remember is that Facebook does not support custom page tab apps on mobile. This means if a mobile user is perusing Facebook and navigates to your Timeline, they will not automatically see your campaign. The only way to assure that a mobile user sees your campaign is by including a link to the campaign in a Facebook ad or status update. However, If you post the campaign’s Facebook-generated URL, mobile users are still not be able to access the campaign because it’s not supported by Facebook. They will receive the error message below. In past years ShortStack (and most other third-party softwares) provided users with a Smart URL to use for promoting their campaigns on Facebook. Smart URLs redirect users based on the type of device the user is on. Therefore, a mobile user who clicks on a smart URL will be redirected to a web-published version of the campaign. At this point in the user’s experience they are completely removed from Facebook (even though the business originally published and posted about their campaign on Facebook). However, until recently, this was the best solution for businesses hoping to reach a mobile audience with their campaigns. Is there a better way to run campaigns that include mobile users? The answer is yes! The solution is to publish your campaign straight to the web (skipping Facebook altogether) to offer a seamless experience for your followers. Why publish straight to the web? Whether your fans are coming from a social site, an email, a blog or the internet, they’ll have the same experience when they see your campaign. When ShortStack announced our new Campaign Builder in May 2014, one of our favorite updates was the ability to publish to the web. Every campaign you build with ShortStack is completely mobile friendly, and the URL that is generated for your campaign can be shared across all of your networks. When you publish to the web you’re working with 940 pixels width of design space compared to 810 pixels when publishing to Facebook. When you run a promotion through Facebook you’re tied to Facebook’s guidelines. Publishing your campaign to the web allows you to promote it on Facebook without having to abide by Facebook’s promotion regulations. Our statistics show that 74% of campaign views are via web-published campaign versus 26% on Facebook published. The Facebook mobile campaign experience has never been an easy one. For years software companies (like ShortStack) created work-arounds to provide businesses with the best options for building mobile-friendly campaigns. If your campaign goals align with your Facebook strategy, by all means, publish your campaign on Facebook. However, with ShortStack, you have the ability to ALSO publish to the web. It basically gives you the best of both worlds. If you’re building a campaign and publishing it only to Facebook you’re missing out on 74% of the potential views you could be receiving on your campaign. • 526 million of Facebook’s monthly active users are access Facebook solely from a mobile device. • Facebook does not support Facebook Page campaigns/tabs/apps on mobile. • When a mobile user visits a Facebook-published campaign they are taken outside of Facebook anyway (so why not just publish your campaign on the web?). • Web-published campaigns are easier to promote and access for your entire online audience whether they’re coming from social networks, a blog, an email or an ad. • When you publish to the web, you receive one mobile-friendly URL that you can use to link to your campaign from Facebook and other social networks, your blog, your email, your website and your ads.